Being a Patriots fan is a privilege that many New Englanders love to talk about, some more than necessary. Growing up in Rhode Island and playing football since I was 5 years old was only the beginning of my admiration for the Patriots. I loved watching and learning about football and always strived to improve and learn more about the game. Winning became a regular occurance while watching the Patriots play. Every Monday after the game, everyone was talking about the win or how the Patriots should have won by more points. There is an itch inside of me that drives me to always be perfect and do better the next time. Tom Brady is idolized in New England and almost world wide. He is considered the “GOAT” (greatest of all time) and with all of his records it is hard to dispute that. Everywhere you go you see the blue, white, red throwback jersey with the number 12 on it and the famous name “Brady” on the back. There was a sense of community in my town when it came to the Patriots and being a fan of the team. When I was younger, me and all of my friends would play pick-up football and always fought over who got to be Tom Brady or Marshall Faulk. We all wanted to be right there at Gillette Stadium when we were older. We wanted what the Patriots always had, and that was championships and wins and fame. As I grew up, I realized that winning was not as easy as the Patriots made it look. One of the more interesting parts of growing up in New England and being a Pats fan was the rivalry that we had with almost every other team. Since I now go to school in D.C., there is a diverse range of football fans. This was evident especially last year when the Patriots lost to the Eagles. It was a never ending back-and-forth dispute between the two teams’ fans. Sunday’s game was definitely a nail-biter, especially when the score was only 3-0 going into the half. When the Rams scored three points on a field goal in the third quarter and tied the game, every Pats fan started to feel a twinge of fear that our team would lose for a second year in a row. But Brady’s 29-yard pass to Gronk with seven minutes left in the last quarter allowed for a first down just two yards away from the touchdown that saved the game from going into overtime. 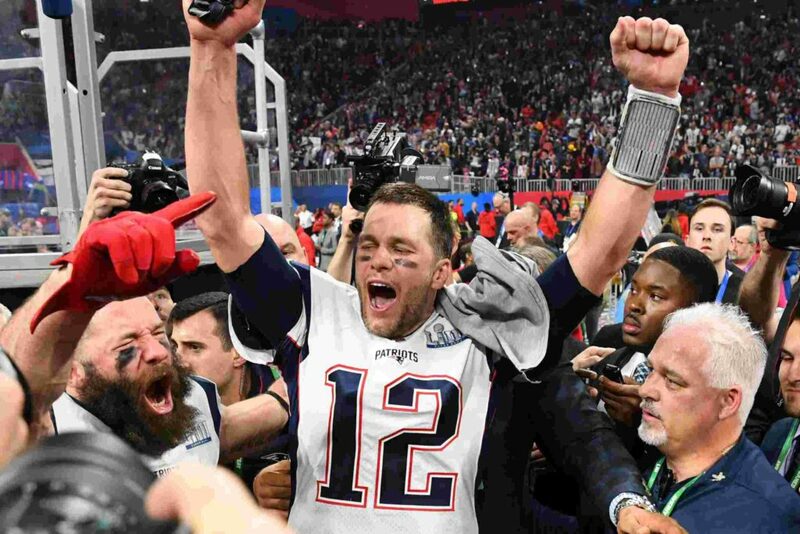 Although it was the lowest scoring Super Bowl of all time, it felt good to win this year– not to mention that the victory won a sixth ring for Tom Brady. Overall, growing up and living in an area that hosts a legacy as wonderful and entertaining as the Patriots has its endless benefits. There is however the obnoxious hatred that comes with being a Pats fan. We just let the hardware do all of the talking.